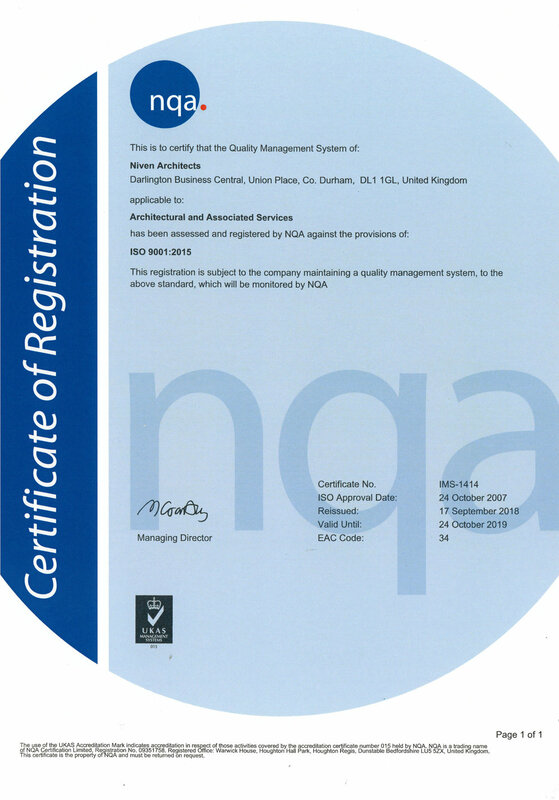 Whilst this may not be exactly the sexiest of subjects for an architectural practice to be posting news about, we think it’s important to let everyone know we have just received our Certificate of Registration from NQA confirming our Quality Management System has made a successful transition to the new ISO 9001: 2015 standards. It’s a matter of considerable pride to us as a business that we have had a successful certified QA system operating to ensure a professional quality of delivery to all clients since 2007. Of course, none of this would have been possible without the hard work and dedication of Denise Percival, our Practice Manager, whose tireless attention to detail and brilliant organisational skills have led to successful QA Audits every year for the past 11 years. Well done, to everyone in the team and in particular to Denise. Thank you for all your hard work!